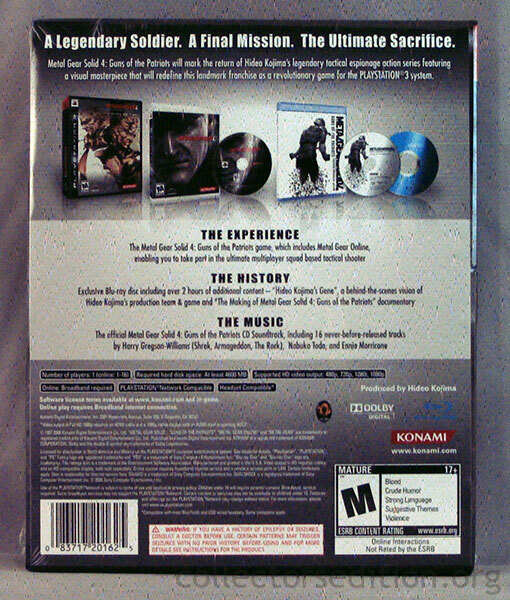 The Limited Edition of Metal Gear Solid 4: Guns of the Patriots comes packaged in a half-cut cardboard box and contains the regular edition game as well as a blue ray case containing a soundtrack CD and a making of Blu-Ray movie disc. 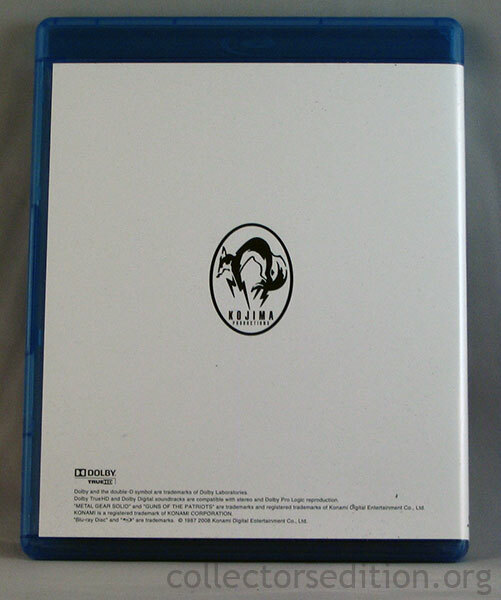 Those who reserved the Limited Edition of the game will receive an Artbook. 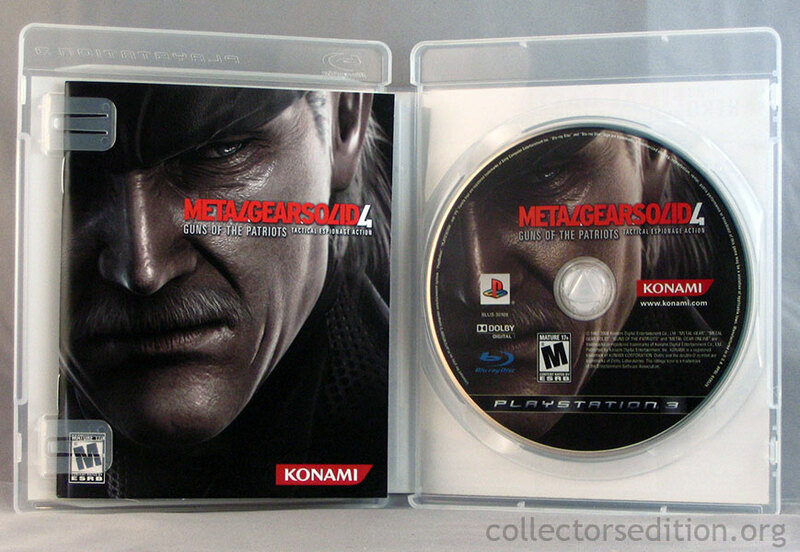 Also those who put down a reservation for Metal Gear Solid 4 at Gamestop and EB Game locations in the USA and Canada between April 5th 2008 and April 10th 2008 receive this slick DVD bonus. 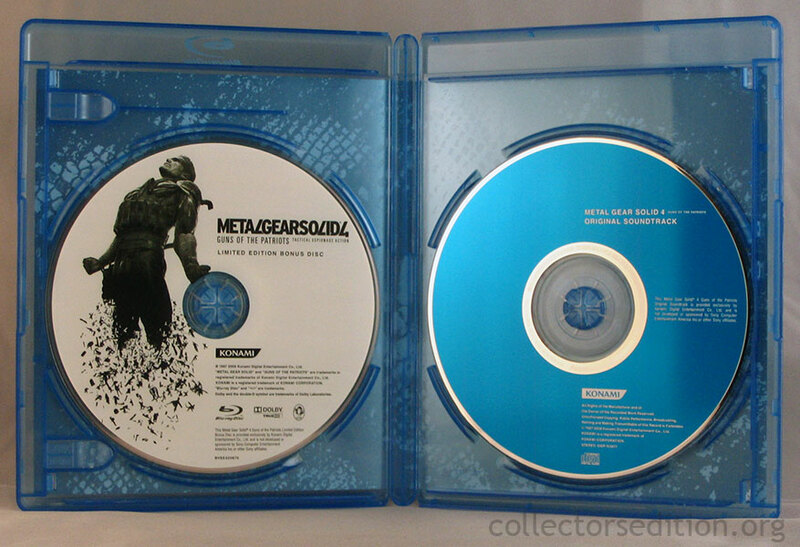 Inside the clear plastic keep case with metallic artwork is a copy of Metal Gear Saga Volume 2. 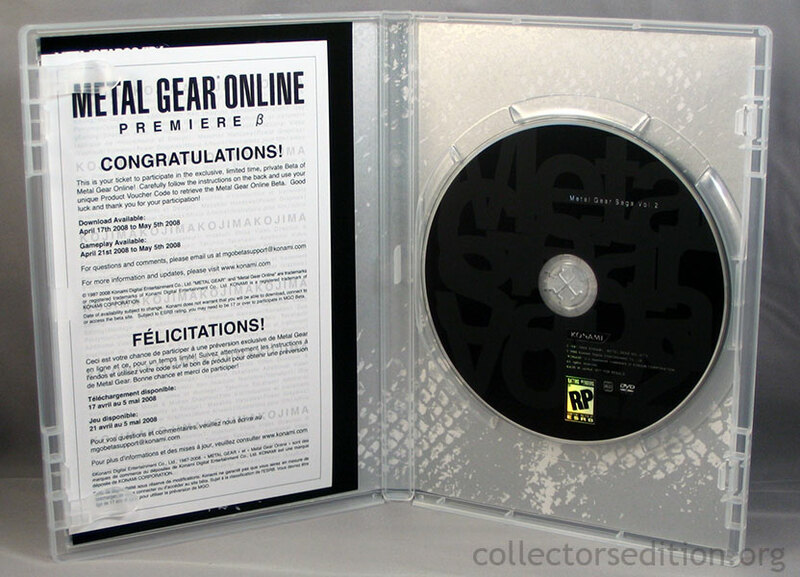 Also in the case is a piece of paper describing instructions as to how and when you can download the Online Beta for Metal Gear Solid 4: Guns of the Patriots. 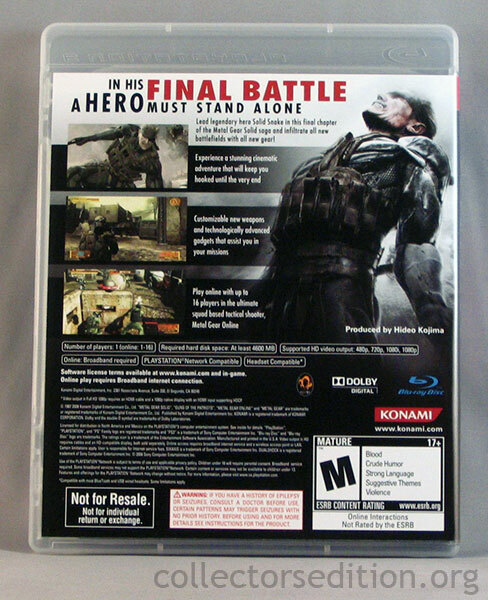 This Edition is being solid exclusively through Gamestop and EB Game locations. This entry was added to the database on Saturday, April 5th, 2008 at 10:50 am by Michael Pica. 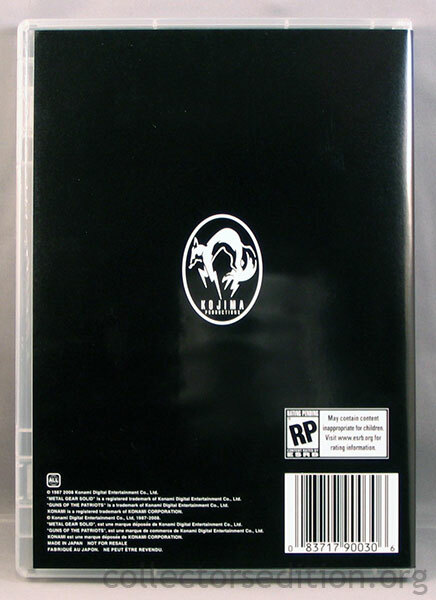 This information was last updated on Thursday, March 19th, 2009 at 10:25 am by . 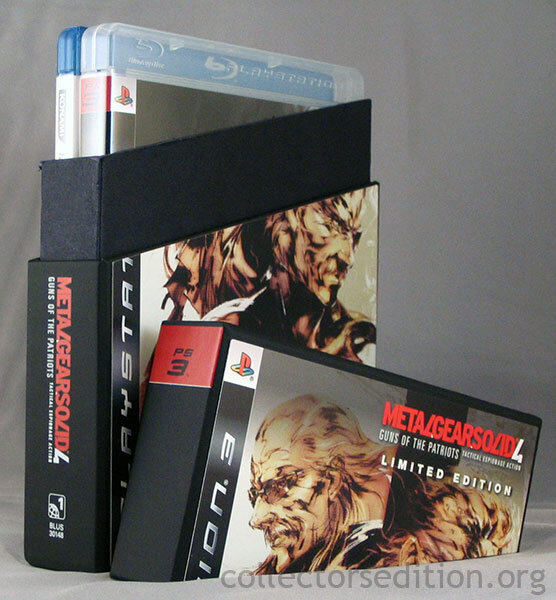 All i can say is Damn that console looks pretty cool. 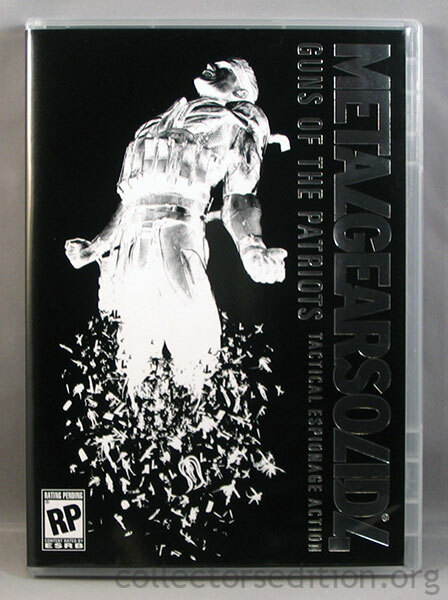 I can’t wait to get mine, it’s going to top my collection. Does any one know if the how many units they will make? 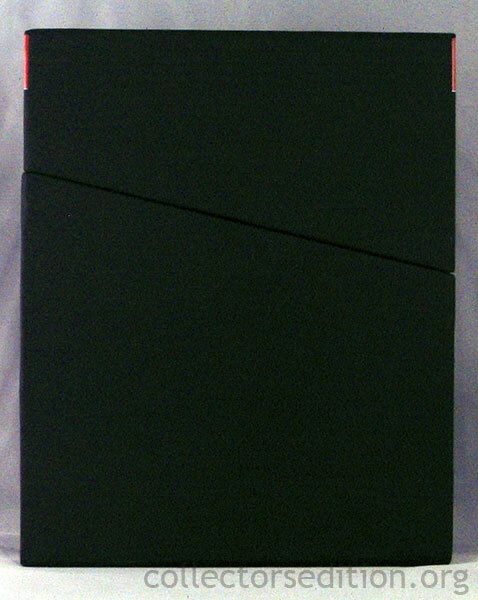 that it’s a limited edition. 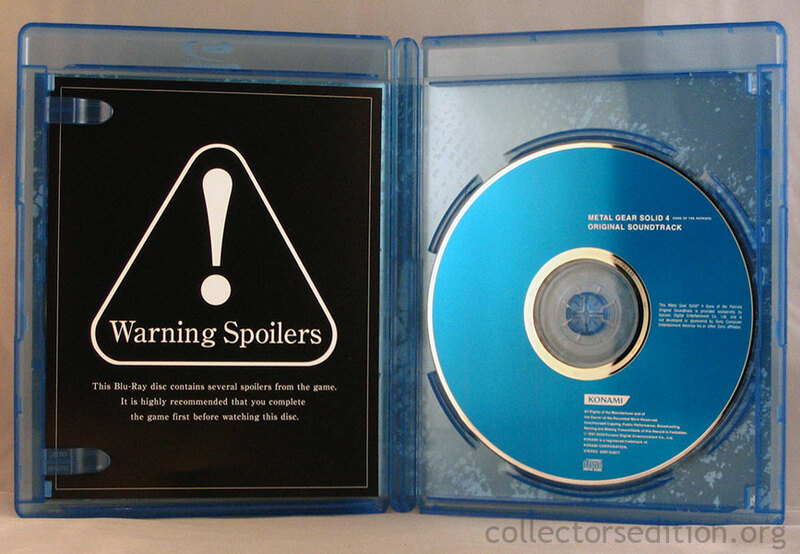 For the really popular games 500 thousand (half a million) is usually the cut off point. They almost always make enough to cover pre-orders and then some so as long as you’re pre-ordering I wouldn’t worry about not getting one. EDIT: changed to Black and White entries, thanks for tip earlier. Gurps maybe you should also include this. A Black Sleeve signed - ONLY 15 were available for signing at Zavvi! Beautiful. I want it!!! Only 5 were signed by all 3. Nice will add to description after a quick check. 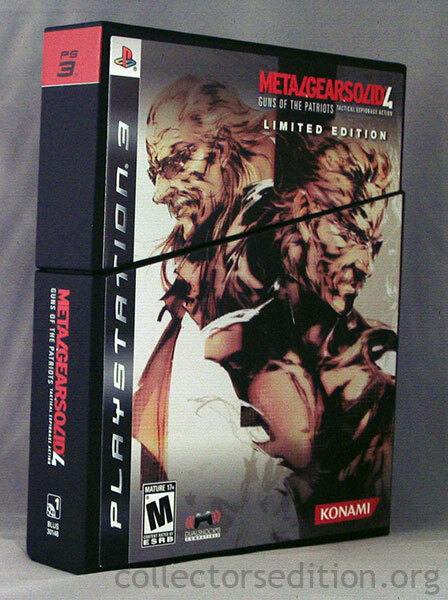 On November 8, Konami officially announced the 25th Anniversary edition and some infomation of it's contents. 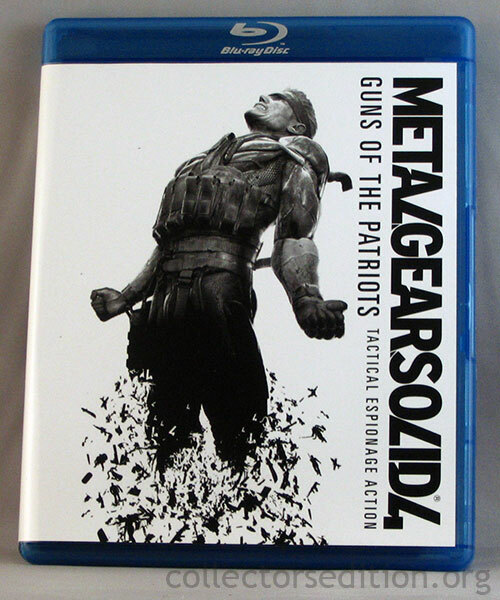 This version will naturally include the recently released trophy update. 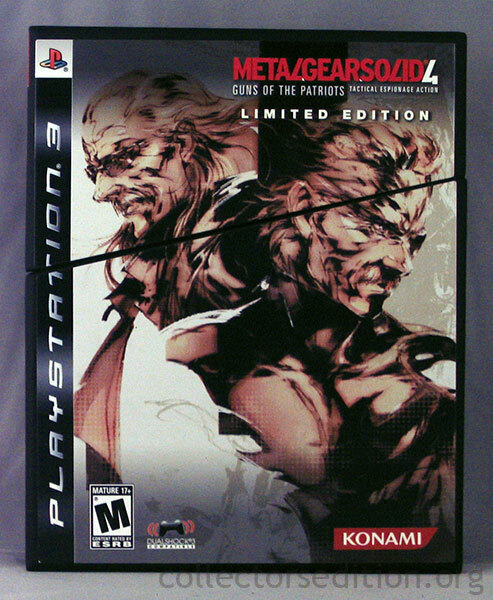 It won?t feature any new in-game content, but it does come with an exclusive double-sided poster by Yoji Shinkawa. 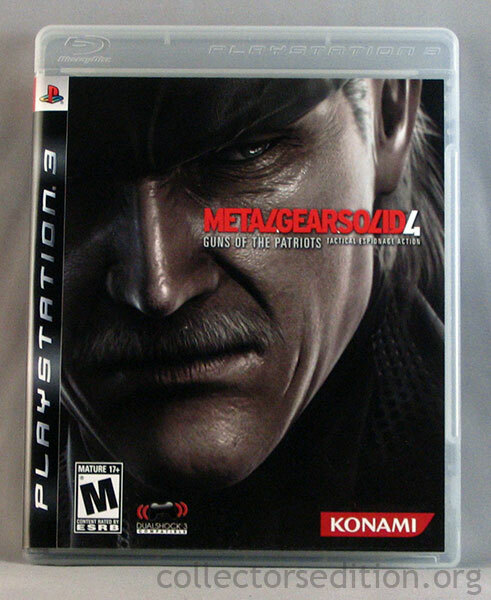 The 25th Anniversary edition of Metal Gear Solid 4 will be released in Europe on November 29 for the PlayStation 3.
i wish they would of repackaged it in some fancy digipack along with some art cards or glossy in game art pics...and maybe a new intro screen and some 25th anniversary decals etc...something to make it special in your hands so you can display it properly..instead of some fold out poster and everyday gamecase.